The weekend got off to a good start when, during Friday practice, Alex Zanardi set the 5th quickest time. However even he recognised that this was a freak occurrence. a one-off that was unlikely to be repeated on the Saturday. He was right. Qualifying was one of those sessions that you never forget if you see it. Unfortunately, as ITV the UK’s terrestrial F1 broadcaster didn’t check their contract properly, they suddenly found that Bernie had locked them out and pulled the plug on their broadcast. This meant that the UK missed what must have been the best qualifying session so far this season. It was raining at the beginning of the hour and most drivers decided to wait to see if it would ease up – it didn’t, it only got worse. So those out early were the winners. Williams went out late. Zanardi qualified 15th with Ralf Schumacher one place behind in 16th the pair sandwiched by Mika Hakkinen and Eddie Irvine. At least they qualified which was more than five others, including Damon Hill, did. So a strange grid and more rain forecast for the race. The must be Coulthard’s or Schumacher’s surely? 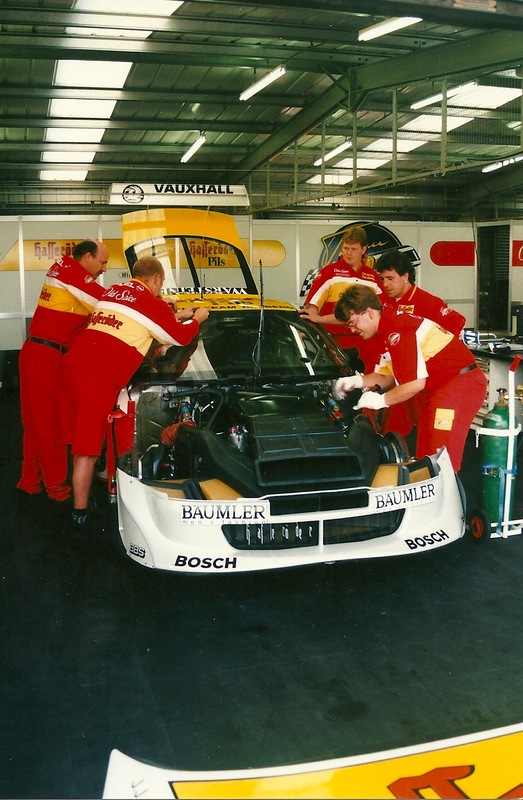 A good start for Ralf Schumacher saw the German make up four places including one at the expense of his team-mate. This left Schumacher 12th and Zanardi 14th. By lap 10, due to skill and attrition Schumacher was 9th and Zanardi 12th. 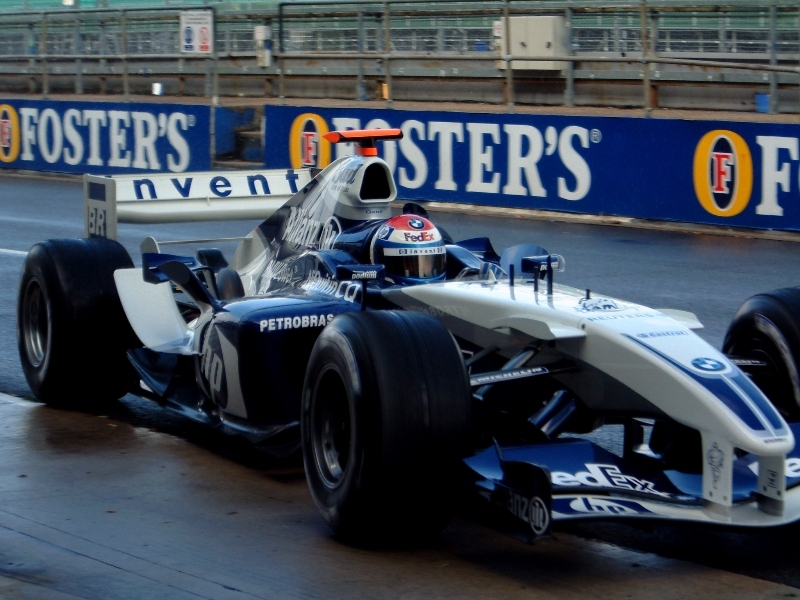 The most impressive of all though was Mika Hakkinen who had charged up from 14th place to 4th. Ralf Schumacher was on a roll and all over the gearbox of Fischella’s Benetton. On lap 16 Schumacher braked late into Adelaide and was up into 8th place. Ralf emerged 7th from this with Alex 11th. However Zanardi’s race was cut short once more as too much water got into the engine, it died and the Italian was out. The sole remaining Williams driver was not going to go the same way as his team mate, in fact Schumacher was getting more competitive as the race went on. First Trulli was dispensed with and then the next Prost of Panis – once again at Adelaide. This pass put Schumacher into 4th place, something of his spiritual home this season. However it wasn’t all over yet as the Williams had one more stop to make which was completed in 7.8 seconds on lap 52. When Schumacher rejoined he was back down in 7th position but others had still to make their final stops. When these were completed Ralf was down in 5th position sandwiched by his brother in 4th and Irvine in 6th. Ralf was as keen to get past Michael as Eddie was to get past Ralf. The three ran nose to tail and even a missed final corner for Ralf didn’t let Irvine’s Ferrari past. On lap 69 with three to go Irvine braked late and dived up the inside of the Williams at Adelaide but Schumacher was having none of it and immediately retook the Ferrari. However the best was yet to come as on the very next lap Ralf past his brother Michael for 4th place! The race, however, had been won at the very first pit stop as the Jordan team put extra fuel into Heinz-Harald Frentzen’s car that allowed him to make it to the flag with one less stop than the rest. So Frentzen took his second career victory. When Ralf Schumacher left Jordan to come to Williams he had little to recommend him. Since joining the team he has come of age and today was simply outstanding. Today he finally threw off the tag of “Michael Schumacher’s brother” and became a racer in his own right.